The Safari Club offers a wide range of Ostrich and Crocodile Handbags, Purses and Belts as well as Leather Luggage, Zebra Skins, Skin Covered Cushions, Ottomans, Antique Chairs, Sofas and Frames. 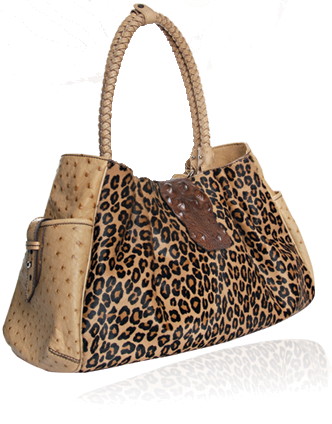 Combination & fur handbags are also available. All our products are proudly handcrafted by local South African artisans and are of the highest quality, using only first grade and Nature Conservation approved skins and leathers. Our craftsmanship is superior and of export quality. We are well established, enjoy a very good reputation and ship our products all over the world.